HELENUS (AUS) (Bay 1999-Stud 2004). 5 wins from 1600m to 2500m, Victoria Derby, Gr.1. Sire of 139 rnrs, 72 wnrs, inc. SW Ethiopia (Australian Derby, Gr.1), Cedarberg, Mega Steel, Durnford, Ulundi, SP The Corporation, Angola and of Mr Vain Marceau, Kasane, Rose of May, Cool as Hel, Moonlight Drive, Camacho, The Litigator, He's Henry, Helena Miss, Soo Auspicious, Arctic Ocean, Bedamijo, Crown of Arc, The Regulator, Dimitrius, Fortescue Flyer, etc. The Corporation (g. by Helenus). 7 wins. See below. Campo di Grano (g. by Danetime). 5 wins-1 at 2-at 1000m, A$80,300, WATC Tsunami H., Todtona H., 2d WATC Royal Request H., John Webster's 100th Birthday H., 3d WATC Fifth Leg H., Mines Rovers Football Club H., Argonaut Capital Stockbrokers H., Barrosa Boy H., Angus Tait Memorial H.
Corn Flakes (f. by Oratorio). Placed to 2014-15 in Aust. The Count. Winner at 1100m in Aust. Cornrow (Duporth). Winner at 1200m, A$302,910, in 2014-15, 2d MRC Blue Diamond Preview (c&g), L, Qld Tatt's RC Global Transport Insurance H., 3d ATC Sires' Produce S., Gr.1, MRC Blue Diamond S., Gr.1, ATC Todman S., Gr.2, MVRC Inglis Banner 2YO S., RL. Endless Shadow. 7 wins from 1100m to 1650m, A$280,395, to 2014-15, GCTC Magic Millions Quality H., BRC Corporate Membership P., Poolwerx H., Channel Seven H., Qld Tatt's RC Tattersall's Arcade H., 2d BRC Skyracing.tv H., Blackwoods H., Game on Thanks Panasales H., Turner Freeman Lawyers H., Brc.com.au P., SAJC Holdfast Insurance H., Bridgestone Australia H., GCTC Eric Cowell Memorial H., 3d VRC Eugene Gorman H.
Endless Puzzle. 3 wins from 1200m to 1650m to 2014-15, BRC South East Country Racing Association P., 2d BRC Goa Get Noticed P., SCTC Bruce McLachlan Memorial H., 3d BRC Garrards Horse & Hound H., Ipswich TC Jim Livingstone H.
Corn Fields. Winner. See above. POLISHED SILVER (Try My Best). 6 wins-4 at 2- in GB and U.S.A, Newmarket Somerville Tattersall S., L, 4th Sandown Classic Trial S., Gr.3. EVER RIDER (Rider Stripes). 6 wins from 1400m to 2600m, US$331,450, 386,140Arg$, to 2014 in U.S.A. and Argentina, Palermo Clasico General Belgrano, Gr.2, Belmont Temperence Hill Invitational S., L, 2d Santa Anita Tokyo City Cup, Gr.3, Parx Racing Greenwood Cup S., Gr.3, Belmont Drosselmeyer S., L, 3d La Plata Handicap Dia de la Patria, 4th Belmont Brooklyn S., Gr.2, Suburban S., Gr.2. GLOBAL PLAYER (Tirol). 5 wins at 1200m, 1400m in Germany, Hamburg Holsten Trophy, Gr.3, 2d Hoppegarten Grosser Preis von Berlin, Gr.3, 3d Baden-Baden Jacobs Goldene Peitsche, Gr.2. Sire. CHORUS MUSIC (Strategic Mission). 6 wins from 7f to 8½f, US$245,113, Belmont Irish Linnet S., L, Saratoga Irish Linnet S., L.
AVATAR'S NOTE (Avatar). 12 wins, Meadowlands Jockey Hollow H., L.
Castlemaine (Lord Gayle). 2 wins at 7f, 9f, 3d Curragh Athasi S., Gr.3, Mooresbridge S., L, Leopardstown Cornelscourt S., L. Producer. GUYS AND DOLLS (Efisio). 3 wins-2 at 2-from 1200m to 1600m, Longchamp Prix La Rochette, Gr.3, Saint-Cloud Prix de Saint-Patrick, L, 2d Newbury Greenham S., Gr.3, 3d Saint-Cloud Criterium International, Gr.1. Sire. PAWN BROKER (Selkirk). 5 wins-1 at 2-from 1m to 11f, £181,665, Newmarket Stubbs S., L, 2d York Dante S., Gr.2. WARDEN COMPLEX - FLAMING LAMBORGINI (H.K.) (Compton Place). 7 wins from 1200m to 1800m, £19,670, HK$4,868,500, HKJC National Day Cup, HK-3, 1400m-in track record time, Doncaster John Gordon Chemists H.
AVON PEARL (Avonbridge). 8 wins-3 at 2-from 1100m to 1750m to 2014 in GB, Norway, Sweden and U.A.E, Jagersro Pramms Memorial, Gr.3, Taby Swedish Open Mile, L, 2d Ovrevoll Polar Mile Cup, L, Taby Swedish Open Mile, L.
CLASS APART (French Deputy). 2 wins at 2, A$80,320, SAJC Oaklands P., L, 2d SAJC Walter Brown S., L. Producer. TRIPLE ASPECT (Danetime). 6 wins-3 at 2-to 1200m, £140,320, €43,000, Sandown Sprint S., Gr.3, Chantilly Prix d'Arenberg, Gr.3, 2d Ascot Bengough S., Gr.3, Sandown Sprint S., Gr.3. WONDERFILLY (Invincible Spirit). 2 wins at 2, €76,550, Maisons-Laffitte Prix Saraca, L, Prix Pawneese. TIFONE (Hussonet). 4 wins from 1000m to 2000m in U.S.A. and Chile, Club Hipico Gran Clasico Coronacion, Gr.2, 2d Club Hipico Clasico Luis Aldunate Carrera, L, 3d Clasico Club Hipico de Santiago, Gr.1, Club Hipico Clasico El Ensayo, Gr.1, Clasico Diario El Mercurio, L, 4th Valparaiso Gran Premio El Derby, Gr.1, Club Hipico Clasico Otono, Gr.2. PIPPA (Belong to Me). Champion Older Female in Brazil in 2012-13. 8 wins from 1000m to 1600m in Brazil, Gavea G.P. Major Suckow, Gr.1, Cidade Jardim G.P. Independencia, Gr.3, G.P. ABCPCC Velocidade, Gr.3, Classico Presidente Luiz Oliveira de Barros, L, Prova Especial Raul e Irene Crespi, 2d Cidade Jardim G.P. Proclamacao da Republica, Gr.2, 3d Cidade Jardim Classico Thomaz Teixeira de Assumpcao Jr, L, 4th Cidade Jardim G.P. Presidente Fabio da Silva Prado, Gr.3. TENOSSUH (Elusive Quality). 5 wins-3 at 2-at 800m, 1000m to 2014-15 in Brazil, Cidade Jardim Classico Presidente Carlos Paes de Barros, L, 3d Gavea G.P. Copa ABCPCC Velocidade Mario Belmonte Moglia, Gr.3. Race Record: 63 Starts 7-9-8 A$427,450. 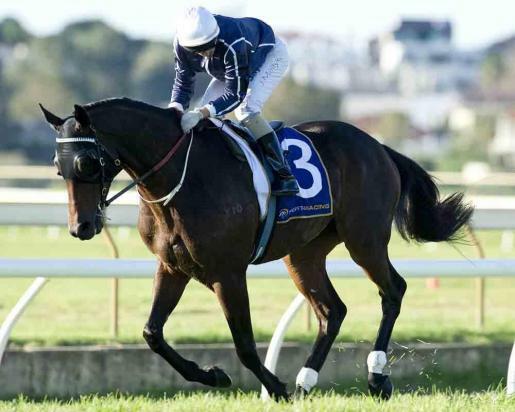 7 wins-2 at 2-from 1000m to 1600m, A$427,450, WATC Westspeed 2YO P.-twice, Festival of Perth Racing H., Playeronline.com.au H., Vivid Group H., Twitter.com/rwwa_thor H., Frank Farrelly H., 2d WATC Fairetha S., L, Tabtouch.mobi H., Westspeed Stayers Bonus H., Westspeed Stayers' H., Smiths Snacks WA H., Playeronline.com.au H., Become a Perth Racing Member H., Willoughby H., Famous Roman at Rivercrest Park H., 3d Western Australian Guineas, Gr.2, WATC Sir Ernest Lee-Steere Classic, Gr.3, Perth S., L, Carbine Club of WA S., L, Tabtouch.mobi H., Myer Fashions Trophy, Perthracing.com.au H., Burswood Entertainment H., 4th WATC Asian Beau S., Gr.3, Aquanita S., L, Kalgoorlie Cup, L.